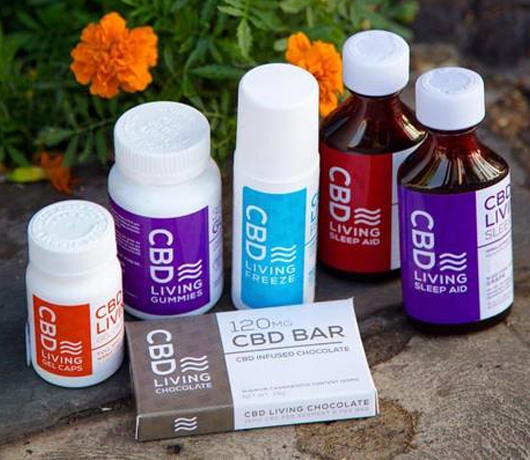 CBD Living is a CBD distribution company focused on exploring and perfecting the science behind the hemp plant. Using this ethos, they have developed nanotechnology to produce a range of top-quality CBD oils, CBD water, and more. The company has used these methods in all of their products, which range from potent CBD isolates to relaxing CBD bath bombs. More than anything else however, they believe in honest communication between themselves and the buyer, by providing the backbone for a trustworthy and sustainable CBD company. Today we will be exploring the history of CBD Living, discovering the moving force behind their desire to create CBD, and taking a look at their extensive range of CBD products. CBD Living was first established in 2013 and is headquartered in Corona, California. Their team uses a combination of global scientists, business minds, and thought leaders to create a well-rounded company whose purpose is to create the best CBD on the market. The company uses nanotechnology, adopting a unique manufacturing process that reduces CBD molecules into nano-sized droplets without having to use additional emulsifiers. This increases CBD bioavailability up to 90% and means that the CBD is delivered even quicker to the CB1 and CB2 receptors than it is by regular methods. This makes the oil extremely effective, not only for its intensity but its fast-acting quality. CBD Living provides many versatile products for its customers; whether you are using CBD for its medicinal benefits to help with a serious ailment or are looking to de-stress during your day, you’ll be able to find something that suits your CBD journey! Newsletter: The company offers new customers a 10% discount when they sign up for their newsletter, as well as being automatically entered into a draw to win free CBD products. It’s a great way to stay up to date with the company, and you can save some money in the process. Worldwide shipping: Even though we are living in a global marketplace, it can be difficult to navigate CBD because of the different laws in different countries. We love that CBD Living ships worldwide, so even if you live on the other side of the world you can still have access to their products. 0% THC: CBD Living Water products contain 0% THC, meaning they are completely non-psychoactive. This is great for those who are worried about any change in their mental state. Wide range of products: There are so many products to choose from on the company website that as the customer, you can really tailor a product specifically to what you want to treat. You can also get your hands on some really fun products like CBD chocolate and bath bombs. Sold in store: You can also buy their products in physical stores, which is great if you aren’t able to buy products online or you prefer browsing the physical selection. Most of these stores are located in North America and England. Ethical products: All CBD Living’s products are fair trade; they believe in providing quality employment for all those who work in the process. Plus, none of the products are tested on animals. The website has a lot of varied products, but some of the text and formatting doesn’t seem cohesive. For instance, the ‘Shop’ drop down bar is not equally spaced. While this isn’t a major issue, it’s a little annoying for the shopper. I think the site could also do with an FAQ page where they could highlight some more important information such as shipping costs. CBD Living Concentrates: If you want a strong burst of CBD, the concentrates range is a great option. The shatter comes in four different flavors; Gelato, Orange Cookies, Durban Poison and Zkittles. And, the easiest way to use it is by dabbing a small amount on a smoking device and inhaling the smoke. The results are normally immediate, which makes it a great choice for pain relief. CBD Living Edibles and Drinks: There are a wide range of edibles and drinks available on the website. And if you are looking for a fun and tasty way to consume CBD, there are lots of CBD candies on offer too, such as the cherry gummy rings. All the gummies are vegan and perfect for day time-use, as you can easily throw them in your bag. 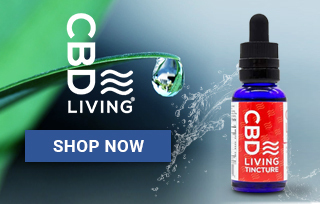 CBD Living Tinctures: The CBD tinctures come in 4 different potencies: 250mg, 500mg, 750mg, 1000mg. They are very accessible because of the included 1ml dropper, making it much easier for you to consume the CBD. The tinctures have been made from CO2 extracted hemp extract which is then infused with MCT oil to create the final product. CBD Living Topicals: There are many topicals available on the website, including CBD Freeze, bath bombs, soaps and more. The CBD Living Freeze works very much like a roll-on tincture and you can apply it directly to a particular area of the body. The bath bombs come in a variety of scents and have been created with nano-CBD for maximum absorption. CBD Living Vapes: If smoking is your preference, then you will find plenty of flavors available, including; bubble gum, sour diesel and natural. This is one of the best ways to consume CBD as it can be both potent and fast-acting. The vape oil is top-quality and goes through vigorous testing before it is sold on the website. Ultimately, CBD Living were disappointed by the way the CBD industry was being run. They saw too many companies leaving customers disappointed by variety and quality. So, they decided to create a company that excelled in both of these areas. As a company, they are developing some interesting and modern techniques for extracting CBD at its purest form. And they know exactly who their customer base is – everyone! Our CBD Living review made it pretty clear that the company’s wide range of products can suit every profession, every lifestyle, and even every budget. CBD Living CBD-infused water is a perfect way to hydrate your muscles after a good workout. I’m sold by lavender scented anything, but the CBDLiving Lavender Bath Bombs are next level relaxers. I didn’t think this CBD soap would have enough potency to make much effect but I was surprised by how relaxed I felt after my bath. 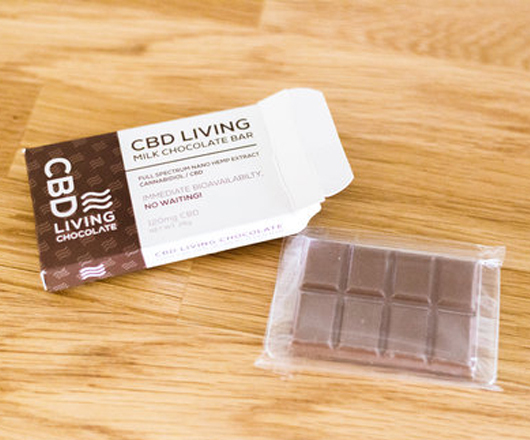 The CBD Living Dark Chocolate is simply awesome! There is no better way to enjoy the goodness of dark chocolate and the calming nature of CBD. I’m very happy with the Vegan Gummies, they are perfect to help me de-stress after a long day at work. Maeve from Ashburn just bough! Blakely from Ashburn just bough! Elliott from Ashburn just bough!